At Full Sail Graphics & Marketing, our goal is to be a company that is widely known to be skilled, trustworthy, and professional. Our highly skilled staff uses top-of-the-line products and technology to guarantee quality design, printing, and installation. Don’t just take our word for it, here are some things our customers are saying about us! “Pete is a great guy and his company is a pleasure to do business with. LOVE the graphic and the response it’s bringing in the form of calls to the business. Well worth the investment. Only wish we had more cars to wrap!” – Kelly K.
“I have gotten 2 wraps with Full Sail Graphics. After hours of researching and calling, I drove all the way from Ventura County to get my company van wrapped. The quality of vinyl and ink is why I came back! The ink is bold and bright and has not faded in years. I highly recommend Full Sail Graphics and Marketing! !” – Nick C.
These are just a few of the overwhelmingly positive reviews Full Sail Graphics & Marketing has had in recent years. If you are a deciding whether to work with Full Sail Graphics, let these reviews and our perfect 5 star Yelp rating speak for themselves. Or, if you have worked with Full Sail in the past, we encourage you to take this opportunity to share your success story on Yelp. With over 50 years of combined experience in graphics and marketing, the Full Sail Graphics & Marketing team is confident that we will deliver quality graphics on time and on budget. 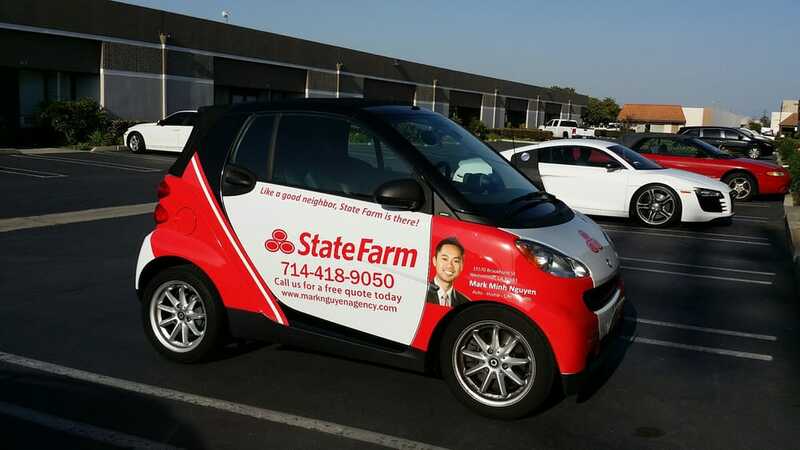 If you are looking for a vehicle wrap of your own, please feel free to give us a call at (714) 451-8428 or visit our website at //fullsailgraphics.com.